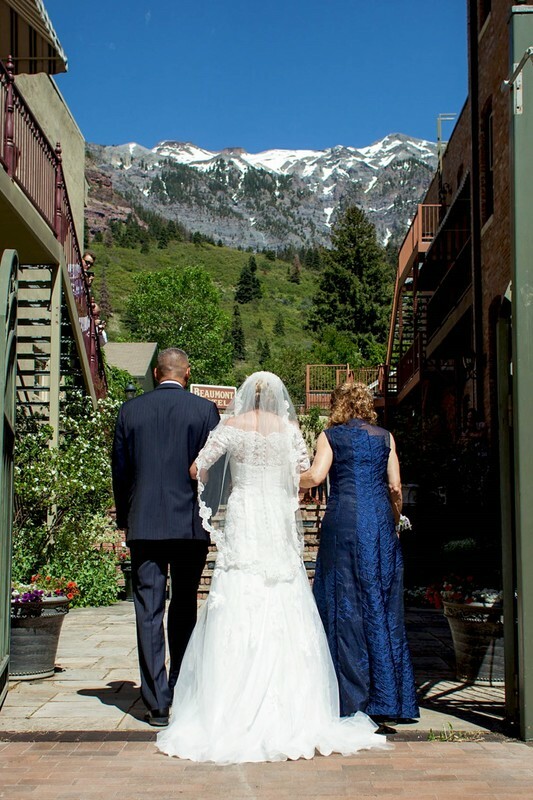 The Garden Courtyard is a majestic, elegant space and the ideal outdoor wedding ceremony location in Ouray. It is conveniently located adjacent to Beaumont Hotel & Spa but is far enough away from Main Street to provide a quiet, intimate location for your ceremony. Your guests will be amazed by the backdrop of incredible mountain vistas and views of Cascade Falls from the Courtyard. They'll love the twinkle lights, too! 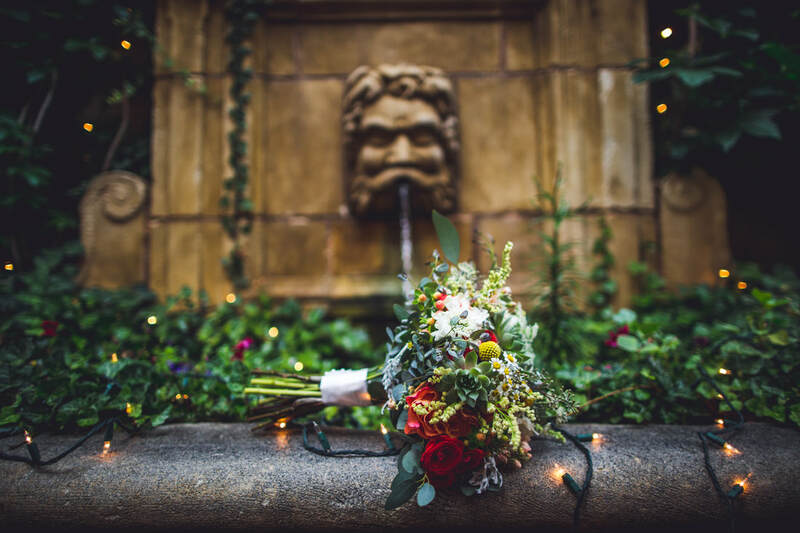 The European architecture of the terrace with its gorgeous fountain, ivy and brick walls add to the enchanting, romantic atmosphere. The Garden Courtyard access features a beautiful wrought iron gate that is ideal for your Grand Entrance. Picture yourself gliding up the aisle past your guests to the raised platform at the end, the perfect setting for your outdoor ceremony. The Grand Staircase is available for a backup ceremony venue in case of inclement weather. This beautiful venue represents the romantic vision that many couples have for their Fairytale wedding ceremony. The expansive Grand Staircase centered in the lobby and overlooked by the atrium both have been lovingly and opulently restored to perfection, providing the perfect intimate backdrop for your momentous occasion. It is often compared to the staircase on the Titanic or the one in Gone with the Wind. The classic center staircase leads up to the landing, where the ceremony is performed. 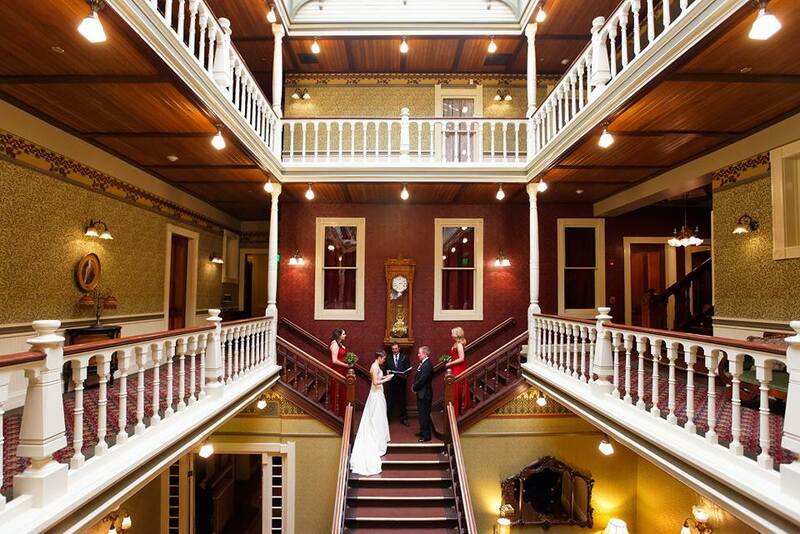 A set of stairs on each side leads down to the landing and are a perfect place for each half of your wedding party. Your guests may view the ceremony from the first floor lobby or from the second or third floor balconies. "Thank you so much for allowing us to host our friends and family at your beautiful venue! We could not have dreamt of a a more perfect place! You and all of your staff were wonderful all weekend long! 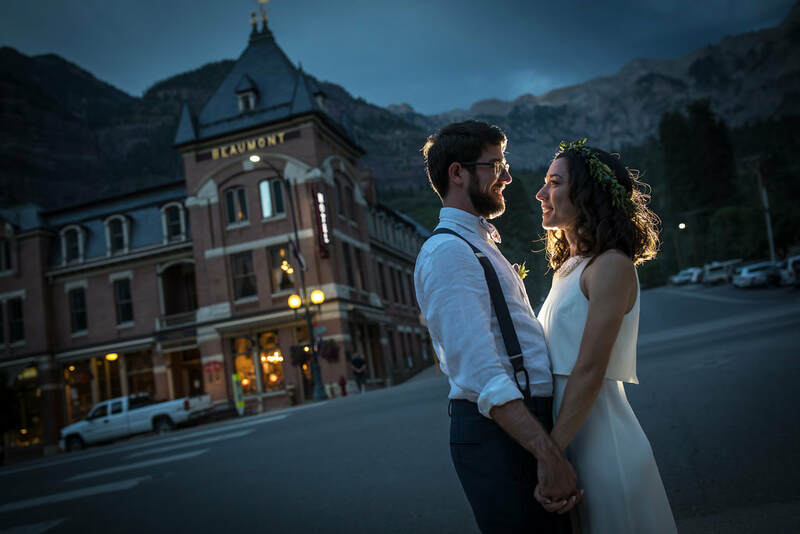 Ouray and The Beaumont will forever have a special place in our hearts!"